Located in Portimão, Vau MS Apartments features an outdoor swimming pool, tennis court and mini golf course. Renowned Rocha Beach is 3.5 km away, while Pestana Golf is 450 metres from the apartment. Made Inn Portimão offers modern rooms with free Wi-Fi, just a 10-minute walk from Portimão Train Station and surrounded by shops and restaurants. There is a terrace with panoramic views of the village. 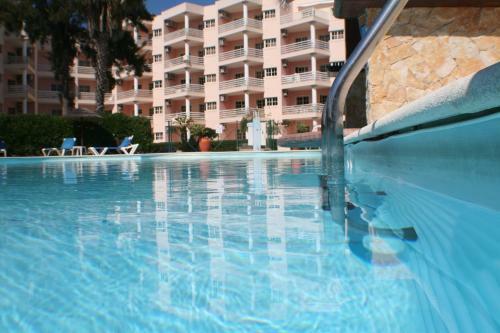 Algarve Mor offers spacious apartments with balconies, superbly situated at the west end of Praia da Rocha. It also features a sunny terrace with a plunge pool, surrounded by sun loungers.